Gardner-Serpollet was a car engineered by Leon Serpollet, an important figure in the pioneering days of the automobile. He invented the flash boiler and built steam cars under his name as well as under the Gardner-Serpollet name after joining forces with Frank Gardner, a wealthy American. This early steam-powered Type F features a flat-four engine fed by a flash boiler running on kerosene. It has chain drive and will apparently cruise for 50-75 miles before… running out of steam. It looks remarkably ancient compared to this 1904 Gardner-Serpollet. A lot changed in terms of automotive design in only two years time. Fun fact, Leon Serpollet was the first person to set a land speed record in a non-electric automobile. This particular car was not used for that feat, but it does have known history to 1959 and has been more recently restored. It should sell for between $225,000-$285,000. Click here for more info and here for more from this sale. 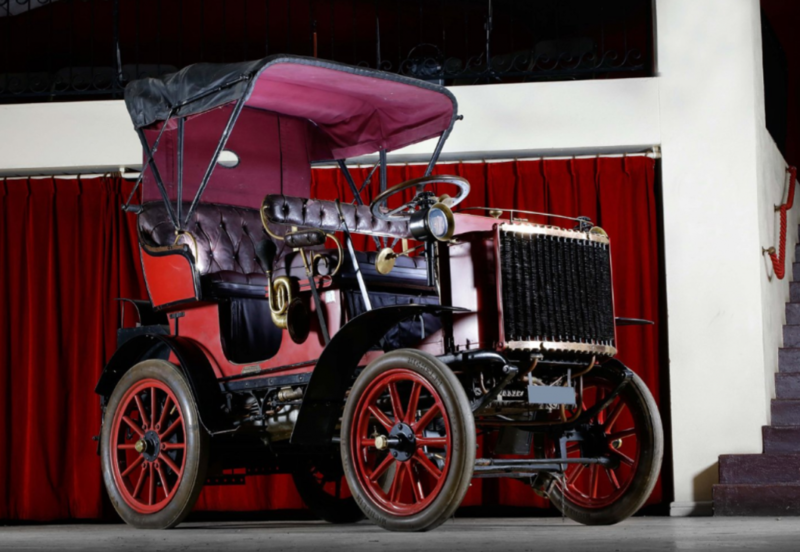 This entry was posted in Uncategorized and tagged 1902, auctions, cars, classic cars, gardner-serpollet, osenat, type f by classiccarweekly. Bookmark the permalink.